The eco-movement has reached the crafts department – although sewers, quilters and crafters have always been experts at recycling. 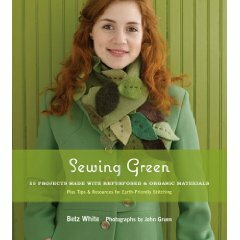 Sewing Green by Betz White will help you take this tradition even further with patterns, tips and fresh ideas for making the most of found materials. Not sure what to do with those mis-matched but still lovely sheets and pillowcases? White suggests making lounge pants or a cute summer top. Turn a vintage tablecloth into a charming wrap skirt or placemats into a practical tote bag. Old cashmere sweaters get new life as a luxurious – but simple – patchwork throw. Even empty Mylar juice pouches can be stitched into an auto sunshade! White gives lots of tips on what to look for at flea markets and thrift stores – what can be fixed and what to avoid. She also profiles several “eco-innovators”, people who have embraced the green movement with style, creating organic and eco-friendly materials and products for the public. There’s a good dash of fun and whimsy in all of the projects – a draft dodger shaped like a log, a tote bag made out of Tyvek envelopes – but they’re also practical and made with basic skills anyone can master. It’s repurposing made fun! Frugal Librarian #11: Nothing dandy about ’em. On a non-librarian note, why do children’s book romanticize the innocence of the ilde days of youth spent blowing apart the tops of dandelions? They don’t need any help! These sinister cold-blooded pests are designed in a sadistic laboratory as the most pure mechanism of mass-dispersal and reproduction since Captain Kirk played a Barry White record for the Tribbles. Let us all hope a James Bond supervillain does not harness any of the design specs of the dandelion for biowarfare. That being said, we have weapons to combat the “yellow menace.” Rather than put 12 bucks on my Menards card again, next time I’ll tap into a very pervasive organic weedkiller recipe I’ve discovered on the Internet. Vinegar, sometimes salt, and a little bit of dishsoap seem to be the common elements…that comes to about three dollars by my estimation. Just don’t get it on any plants you care about. Meet the author at a Moline Public Library on June 3rd at 1:00, where she will be signing copies of her new book, Home Safe. My favorite Berg novel is The Year of Pleasures. If you like books in which the protagonist has faced tragedy and must rebuild her life, this is a classic starting-over story. You’ll enjoy reading how Betta moves to a new town, buys a house, and reconnects with old college friends. Immersing herself in her new surroundsings, she also makes new friends, finds romance and opens a store called “What a Woman Wants.” It sounds a little incredible, but Berg writes so lyrically, the journey seems completely logical and enjoyable. One of Berg’s strengthes is her depiction of the small joys of daily life; you’ll not want to leave the world she has created. 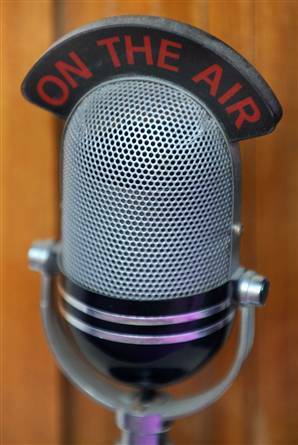 Are You a Public Radio Groupie? Have you ever been in the car and bored by what’s currently on the radio? Pop in one of these best-of-the-best NPR audiobooks and transport yourself to a laugh-out-loud Scott Simon interview with Dame Edna to a story about misunderstood song lyrics. If you’re a fan of NPR, you’ll love books-on-cd that public radio staff have produced. Compilations such as Driveway Moments, Road Trips and Holiday Favorites are hodge-podges of previous stories. If you like Baxter Black, Rob Gifford, Bill Harley or Susan Stamberg, you’ll be glad to have them handy on a long trip or if you’re stuck on one of the bridges for hours on end. (David Sedaris got his start at NPR and is in a class by himself). Some, like This I Believe, can be downloaded to your MP3 player. If you’re a Davenport Public Library cardholder you can access our WILBOR audiobooks via our website. The library’s mission – you will never be bored again. 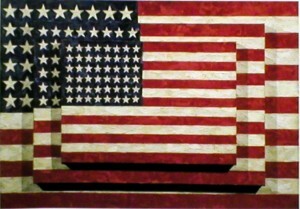 Just a reminder that the Davenport Library will be closed today in observance of Memorial Day. Both buildings will be open their regular hours tomorrow – Main 9:30 – 5:30 and Fairmount 12 – 8pm. Recently retired and living a quiet and elegant life on the Upper West Side in New York City, Henry Archer unexpectedly gets a second chance with his step-daughter, someone he hasn’t seen for 25 years. Somehow these opposites – Henry is older, gay, successful, Thalia is an aspiring actress just scraping by – make a connection that benefits them both. Thalia brings sparkle and excitement into Henry’s world, as well as more than a few complications including the reappearance of his eccentric ex-wife, an introduction to the world of celebrity and a new love interest. 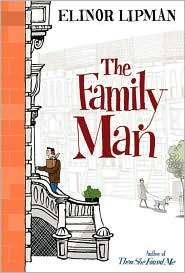 Lipman is the master of the modern comedy-of-manners story – her characters are real and likable (even the annoying ones), and the dialogue is sharp, witty and fast-paced. The situations our heroes find themselves in may be unlikely, but Lipman grounds them in reality and gives them heart. The Family Man will keep you laughing and wishing for more. In between trips, there’s nothing better than kicking back with a good DVD. Some of the AT’s favorites are travel series such as Michael Palin’s Around the World in 80 Days and Samantha Brown’s Passport to Europe – all the fun and cultural education without the hassle. Though theoretically designed for the prospective traveler, Rick Steve’s Europe Through the Back Door DVDs are great entertainment whether you have any intention of going to a particular destination or not. A rainy weekend can always be salvaged by Enchanted April or Under the Tuscan Sun. In both movies, those seeking a different and richer life are seduced by the beauty and romance of Italy. For some travelers it’s all about the journey and not the destination. They love everything about airplanes and airports; for this person Tom Hank’s The Terminal is a quick fix of airport culture. Other fun flicks in the air-trip-as-disaster mode are Red Eye or Snakes on a Plane. Imagine Venice in 1498. Imagine being orphaned and living hand-to-mouth in its busy streets. Imagine you’re Luciano and you’ve just been caught stealing a pomegrante. Will this act send you to the dungeons? No! This act will actually land you an apprenticeship with a maestro chef, who just happens to cook for the doge, the highest court official in Venice. As unlikely as this sounds now, as a reader, I found it completely plausible. Apparently, the chef sensed some finer qualities in this street urchin, so he takes him in under his wing, encouraging him to learn all he can. The plot thickens as rumor circulates that there is an ancient book hidden within the city that contains many secrets of alchemy — the secret to eternal youth, plus secret recipes for making gold and love potions, among others. Luciano is especially interested in the love potion, hoping that it will help him secure Francesca, an unavailable convent girl with whom he is smitten. The doge, meanwhile, suffering from old age and syphilis, is intent on finding that fountain of youth, and he doesn’t mind committing multiple murders to obtain it. While most everyone in the city becomes obsessed with finding this precious tome, it is just as jealously protected by the Guardians, who are willing to die to keep its secrets. The ending may not be what you expect, but you’ll keep turning the pages to find out what happens next. 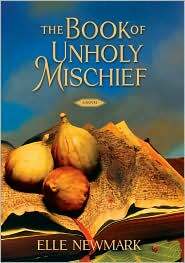 The Book of Unholy Mischief by Elle Newmark is part Da Vinci Code and part Oliver Twist, and recommended for foodies and historical fiction fans. Enzo is a thoughtful and intelligent observer. He has watched a lot of television – especially the Weather Channel and documentaries – and he has paid attention. He understands much more than he is given credit for, but he cannot put his thoughts into words. His greatest regret in life is that he cannot speak and that he does not have opposable thumbs because Enzo is a dog. 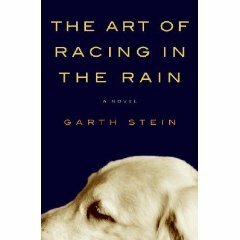 In The Art of Racing in the Rain he reflects back on his life on the eve of his death. When Denny picks Enzo from a litter of puppies, an incredible partnership begins. Denny is a semi-professional race car driver and he often describes his work to Enzo especially his skill at racing in wet weather – the balance and anticipation it requires, the blending of thought and action. Soon Eve enters their lives, and then baby Zoe and they are happy until tragedy strikes and the little family must struggle to survive and carry on. Through it all, Enzo is there, observing, offering comfort and companionship and love. 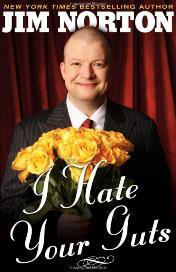 This is a beautiful, poignant story which is sometimes laugh-out-loud funny and sometimes wrenching. You may be skeptical that a dog as narrator would work, but in fact, Enzo is perfect – wise but always from a dog’s point-of-view, an outsider that can see clearer than the participants. The racing analogies are powerful and effective, but do not dominate the story. You will root for these characters and love them as much as Enzo does, who’s words will stay with you long after you finish the book.